Here we celebrate the lives of those who were leaders at House of Prayer Apostolic Faith Church of God, Inc. in Fort Myers, Florida. 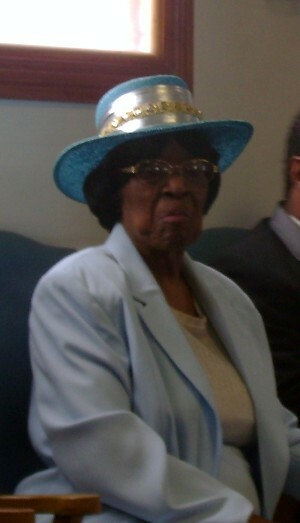 The late Pastor Ella M. Davis was our founder, along with her husband, Deacon Booker T. Davis. We also want to commemorate the life of both Deacon Vincent Sykes, the late husband of Pastor Judy Sykes and Elder Clinton Welch who stood by Pastor Davis from the very beginning to the very end. 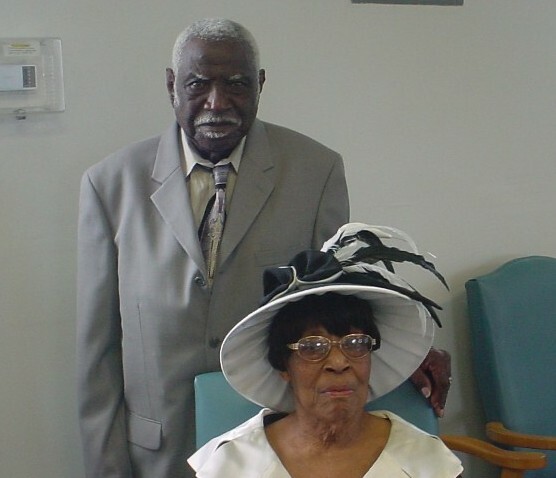 Pastor Dr. Ella Mae Gordon-Davis and her husband, Deacon Booker T. Davis were married for 67 years and were proud parents to five biological children, 15 grandchildren, and eight great-grandchildren. Kankakee, Illinois, was their residence for many years, before relocating to Fort Myers, Florida. Pastor Davis was first introduced to the apostolic faith by Missionary Hazel Reed of the Indiana Avenue Apostolic Church of God in Chicago, Illinois. She went with Sister Reed to receive the baptism in Jesus' name. She had already received the Holy Ghost several years earlier in 1953 as she prayed with her older sister, Mrs. Hallie Simms - nicknamed "Honey" for their mother. She began to witness to her family and 50 of her relatives were baptized in the name of Jesus and filled with the Holy Ghost within 3 months. Always "the wise man behind the ministry," Deacon Davis was the husband of Pastor Dr. Ella M. Davis, his spouse of 63 years. We thank our Lord and Savior Jesus Christ for Deacon Booker T. Davis, because of his unselfish sacrifices he had made while Pastor Davis ministered to the saints while she was with us. Deacon Davis has been a strong pillar in this ministry. We honor him as a strong patriarch and give thanks to all things he has done in the House of Prayer Apostolic Faith Church. Deacon Sykes was born on October 3, 1945, to Bertha "Doll" Sykes. Upon the death of his mother, his Uncle James and Aunt Elna Sykes became his surrogate parents and raised him in a Christian home. 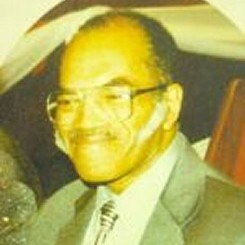 Elder Sykes served time in the U.S. Navy, before meeting Evangelist Ella M. Davis, who taught him the Apostolic Doctrine. 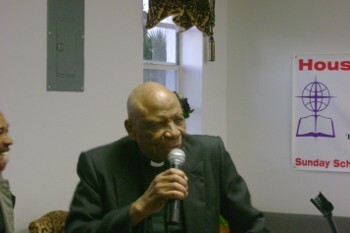 He was baptized in Jesus' name in 1964 under the late Pastor O.D. Atkins. He married Judy Wynell Davis on July 12, 1969. Married for almost 33 years, they had two children, Donald and Shalisa. He was gifted at singing and composed music, and he also enjoyed playing the piano. Elder Clinton Welch was born to the union of Minister John Welch and Della Yates on December 7, 1921. He was the second child of 12 siblings in Waynesboro, Mississippi. Elder Welch left home at an early age to seek a better life in Chicago, Illinois. He was anointed by God to sing and had the opportunity to sing with the Soul Stirrers while being a member of Metropolitan Baptist Church. Elder Welch's mother instructed him to meet with a missionary by the name of Ella Mae Davis. In 1959 he was baptized in Jesus name and received the Holy Ghost at the Indiana Avenue Pentecostal Church under the leadership of Pastor Odie Atkins. In 1967 Elder Welch moved to Kankakee, Illinois where he quickly became know for singing. In 1976 when Pastor Davis received word from the Lord to to to Florida, Elder Welch began to pack his bags also. In 1985 in Ft. Myers, Florida Elder Clinton Welch and Sister Alma Luster were married. The couple did not lack biological children because the love of the saints of the combined House of Prayers filled the void.